The 2019 Golden Globe nominations had their fair share of snubs and surprises. Plus ça change. 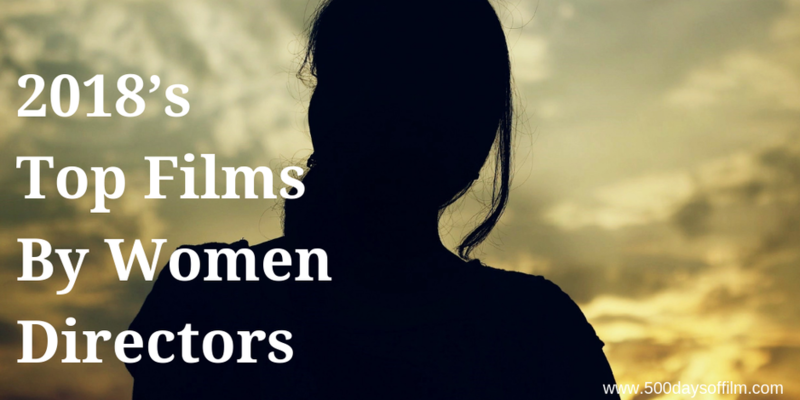 However, what felt most disappointing was the lack of recognition awarded to women directors. In a year full of superb movies by female filmmakers - including You Were Never Really Here, Can You Ever Forgive Me, Leave No Trace and Let The Sunshine In - why, once again, were the nominations (apart, of course, from Nadine Labaki's best foreign language film nominee, Capernaum) dominated by men? The answer to that question is both simple and complex. Women directors still face an often overwhelmingly sexist industry. Change is possible (and probable) but it is certainly taking its own sweet time. In the face of such challenges, it is important to highlight the incredible, breathtaking films that have been released this year. Sadly, I have not seen them all (Marielle Heller’s Can You Ever Forgive Me is not in UK cinemas until 1 February 2019) but would highly recommend these ten films (UK releases and in no particular order) by women directors. Synopsis: Will (Ben Foster) and his teenage daughter, Tom (Thomasin Harcourt McKenzie), have lived off the grid for years in the forests of Portland, Oregon. When their idyllic life is shattered, both are put into the care of social services. After clashing with their new surroundings, Will and Tom set off on a harrowing journey back to their wild homeland. Synopsis: Christine “Lady Bird” McPherson (Saoirse Ronan) fights against but is exactly like her wildly loving, deeply opinionated and strong-willed mother (Laurie Metcalf), a nurse working tirelessly to keep her family afloat after Lady Bird's father (Tracy Letts) loses his job. Set in Sacramento, California in 2002, amidst a rapidly shifting American economic landscape, Lady Bird is an affecting look at the relationships that shape us, the beliefs that define us, and the unmatched beauty of a place called home. Synopsis: When a teenage girl goes missing, Joe (Joaquin Phoenix), a brutal and tormented enforcer, embarks upon a rescue mission. However, he has no idea of the level of corruption that lies behind the kidnapping or how his path of vengeance will unleash a storm of violence that may destroy him or lead to his awakening. Synopsis: Three wealthy, married family men get together for their annual hunting game in a desert canyon. But this time, one of them has brought with his young mistress, Jen (Matilda Lutz), with him. Jen arouses the interest of the two others and things soon get dramatically out of hand. Left for dead in the middle of a desert hell, the young woman comes back to life and the hunting game turns into a ruthless manhunt. Synopsis: Desperate to start a family, Manhattan-based writer Rachel (Kathryn Hahn) finds herself descending deeper and deeper into the insular world of assisted reproduction and domestic adoption with her loving husband Richard (Paul Giamatti). Just as the two feel they are at the end of their middle-aged rope, an unexpected surprise in the form of college dropout Sadie (Kayli Carter) enters their lives and opens their world to new possibilities. Synopsis: Isabelle (Julliette Binoche), a Parisian artist and divorced mother, is looking for love, true love at last. Synopsis: Neurotic and manic, bold and magnetic, Paula (Laetitia Dosch), is a bundle of contradictions. Fresh from an unceremonious dumping by her boyfriend of ten years, she finds herself wandering the streets of Paris – jobless, homeless and single – with no idea of what life holds for her next. At 31 years old, with little to show for it but a kidnapped cat and a sense of adventure, she sets out to reinvent herself – new job, new friends, new life..
Synopsis: Hollywood star, Hedy Lamarr, was known as one of the world’s most beautiful women - both Snow White and Cat Woman were based on her stunning and iconic look. However, Lamarr's beauty and glamorous life stood in the way of her being given the credit she deserved as an ingenious inventor whose pioneering work helped revolutionize modern communication. Synopsis: Stranded in rural Australia in the aftermath of a violent pandemic, Andy (Martin Freeman) desperately seeks a new home for his infant child. Synopsis: Harper (Zoey Deutch) and Charlie (Glenn Powell) are overworked, underpaid assistants wasting their 20s slaving away for bosses who treat them like dirt and work them ‘round the clock. When they realize that they would have much more free time if the people they worked for weren’t single, they concoct a plan to lure their bosses into a faux-romance. This list is proof, if any were really needed, of the quality and variety of female directed movies this year. I would also add Madeleine Gavin's documentary, City Of Joy, Susan Johnson's rom com, To All The Boys I've Loved Before, and horror/thriller, Cam (a close collaboration between Isa Mazzei and Daniel Goldhaber). Is your favourite on this list? If not, do share that film in the comments section below or over on Twitter. You can find me @500DaysOfFilm.